AsIAm “Autism Experience” Exhibition visited Tallaght Stadium on Thursday 19th & Friday 20th January. 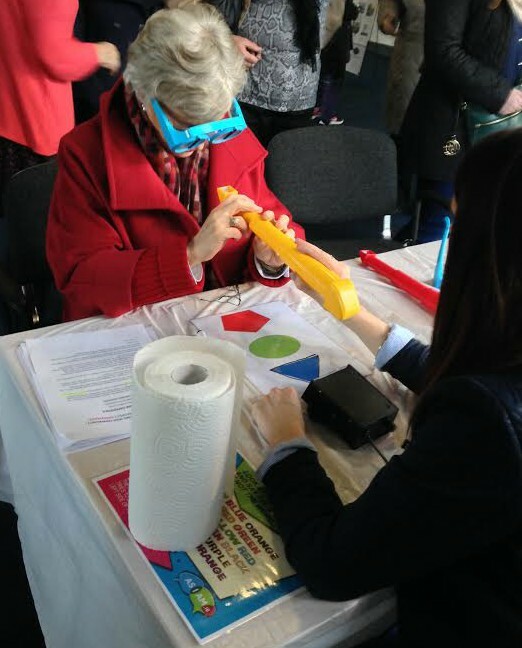 The exhibition in association with Tallaght Parents Autism Support Group (TPASG) and with the kind support of the Department of Justice and Equality was a great success, attracting large crowds. Minister for Children and Youth Affairs, Katherine Zappone was given a tour of the exhibition by Adam Harris and enjoyed the unique experience. The aim of this pop-up exhibition is to engage young people, aged 16-22, in gaining a greater insight into what it is like to live with Autism. While many people have heard the word Autism, very few truly understand it and fewer still have a sense of what it is actually like to face the challenges those with Autism experience. The exhibition was presented in a Q&A format which makes it accessible and engaging for visitors and includes an audio guide and a range of activities to enable visitors to “step into the shoes” of someone with the condition.